This modern chocolate brown manual reclining living room set is available now at RC Willey. The tightly tailored silhouette offers sleek transitional style, providing a large variety of home decor options. 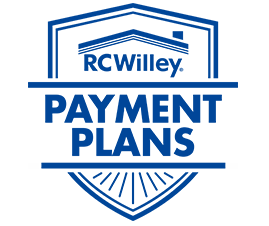 It's heavily padded and the performance fabric is easy to clean, making it extra comfortable and durable. Enjoy the power mechanisms and handy cupholders as you lay back and relax. 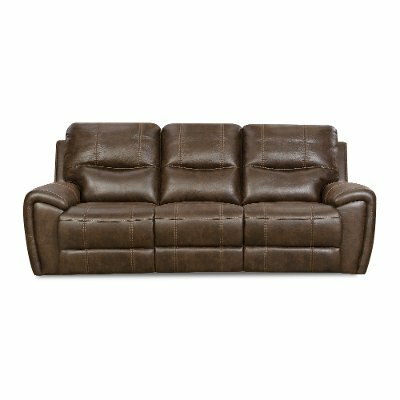 RC Willey offers this modern chocolate brown manual reclining sofa. The tightly tailored silhouette offers sleek transitional style, providing a large variety of home decor options. It's heavily padded and the performance fabric is easy to clean, making it extra comfortable and durable. This modern chocolate brown manual reclining loveseat with console is available now at RC Willey. The tightly tailored silhouette offers sleek transitional style, providing a large variety of home decor options. It's heavily padded and the performance fabric is easy to clean, making it extra comfortable and durable. 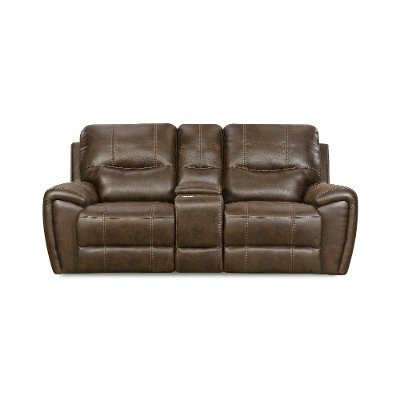 Chocolate Brown Manual Reclining Living Room Set - Desert is rated 4.7 out of 5 by 3. Rated 5 out of 5 by Frugalhousier Very comfortable Purchased this set a few weeks ago and really like it a lot. I’ve received several compliments on the looks and comfort of the set. It feels very sturdy and I home it last for years. I’ll give it a year to try before I submit another review. Rated 4 out of 5 by mom801 Love the recliners We bought the Love seat and Couch as a set. The recliners are easy to pull out and push in nicely. The material is in the microfiber family and wipes off easily, yes, we've already had a spill. Rated 5 out of 5 by Juliebug These are both very comfortable, sturdy and durable. We couldn’t be more pleased with our purchase. The store was also very prompt in removing the damaged couch and replacing it without a problem.